What is personality? What differentiates person’s character from another person’s? What is it about you that makes you… you? In what ways do you get in the way of yourself? These types of questions are easily posed but remain some of the most difficult to answer in all of psychology. 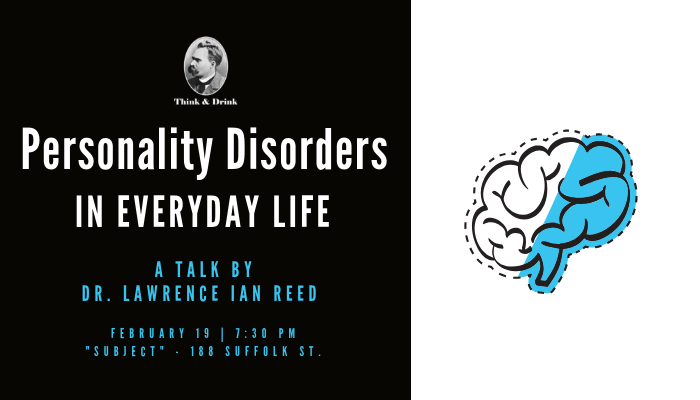 This talk examines these questions and applies them to styles ranging from normal to abnormal variants. 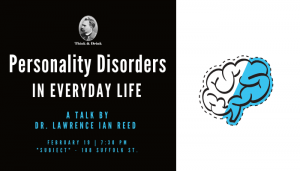 Lawrence Ian Reed (www.lawrenceianreed.net) is a clinical assistant professor in NYU. He studies facial expression of emotion, focusing on why we so visibly express our private motivational and emotional states. He is also a clinically trained psychologist with a specialization in treating adolescents and adults with mood and emotional disorders. About Think & Drink: “Think & Drink NYC” is a cultural initiative aimed at stimulating the minds of bar goers around the world by bringing top-notch lectures to local bars. Stay tuned for upcoming events: thinkdrink.org.